Laura Jane Grace & The Devouring Mothers are also headed on tour this fall. Laura Jane Grace & The Devouring Mothers have announced plans for their debut album and a tour this fall. The band have partnered with Bloodshot Records to release their debut album this fall. The release date and album details have yet to be announced. 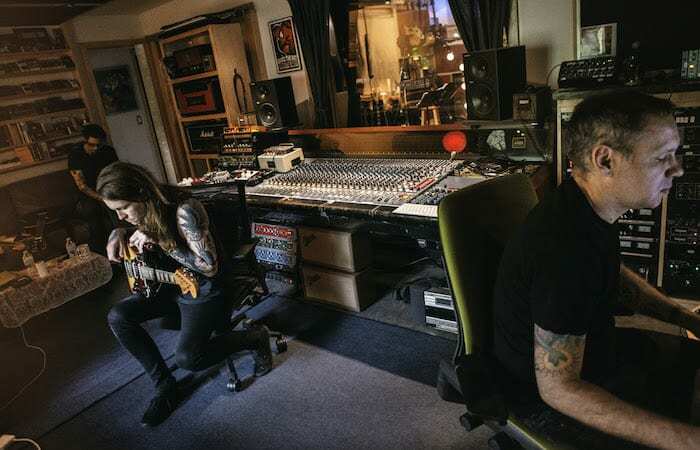 Laura Jane Grace & The Devouring Mothers are made up of Grace, lead singer and guitarist of Against Me!, Atom Willard, drummer from Against Me!, and AM! sound engineer Marc Jacob Hudson. Willard is also known for playing with bands such as Social Distortion and the Offspring. Grace teased the album and announced the tour via Twitter on Tuesday. Laura Jane Grace & The Devouring Mothers’ debut album will be released this fall, and they will also play a special run of shows in November. Tickets go on sale Friday at 10 a.m. here. Check out the full list of dates below.